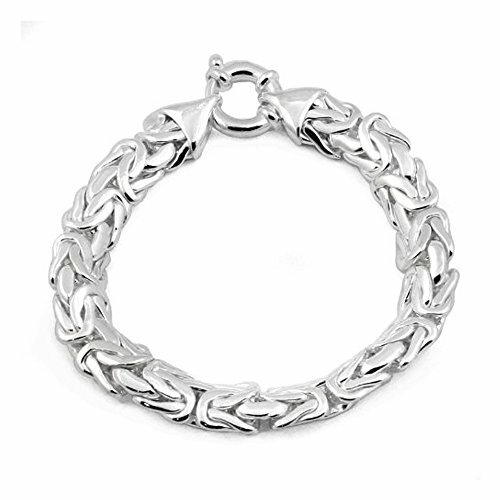 A bold 10mm byzantine chain bracelet in sterling silver. The links have flattened edges to give the bracelet a smooth, continuous feel and supple flexibility. The spring ring clasp is sturdy and extra large to handle with ease. 10mm wide and 8" long bracelet in sterling silver. If you have any questions about this product by DragonWeave, contact us by completing and submitting the form below. If you are looking for a specif part number, please include it with your message.